Endoca just wouldn’t be possible if we didn’t believe in the wonderful benefits of CBD. In fact, we could talk about its health benefits for hours (we won’t, don’t worry). But, before we get into the extraordinary CBD benefits, let’s quickly recap as to what CBD is. Cannabidiol, or CBD, is a compound found naturally in some types of cannabis plants, called cannabis sativa. CBD is one of over 100 compounds (called cannabinoids) that’s found in cannabis plants — and each natural compound has their own benefits. And it’s the benefits that make CBD so popular. Researchers have even suggested that there are a huge range of potential CBD health benefits, treating everything from chronic pain to anxiety. It’s the magical natural compound that just keeps on giving. Well, many scientists believe that CBD works by interacting with what’s known as the endocannabinoid system. It’s our biological system that’s made up of our body’s vast network of chemical compounds and receptors that act to maintain homeostasis or balance within our body and mind. Think of it like a dimmer switch – it turns up activity if there isn’t enough or turns down elements if there is an excess. It’s a common misconception that CBD gets you high – and this is a question we’re asked a lot. It’s all because CBD does not have hallucinogenic or psychoactive effects and so it can’t get you high or produce a euphoric feeling. That’s the job of another compound, known as THC. While CBD does contain traces of THC, it’s very low (up to 0.3 percent) and so is completely non-psychoactive. Instead, CBD usage has been shown in studies to have generally benign side effects, low toxicity levels and a whole host of those wonderful potential medicinal benefits that we mentioned earlier. How can CBD benefit certain ailments? CBD and anxiety One benefit of CBD hemp oil is that it may help in managing anxiety symptoms due to its close relationship with the central nervous system. As research has suggested, CBD hemp oil use could help because it may activate the serotonin 5HT1-A receptor (the ‘feel good’ chemical) found in the cerebral cortex, hippocampus and amygdala — areas in the brain involved in mood and anxiety disorders. One study found that a 600mg dose of CBD helped those with social anxiety give a speech, while earlier research with animals has shown that CBD can help reduce anxiety by: Relieving stress Reducing physiological effects of anxiety, like an increase in heart rate Promoting sleep in cases of insomnia CBD and chronic pain Because CBD may be able to positively affect your brain’s receptors, regular hemp oil usage may also help with how you manage pain in conditions such as arthritis, inflammatory bowel disease, headaches and fibromyalgia. 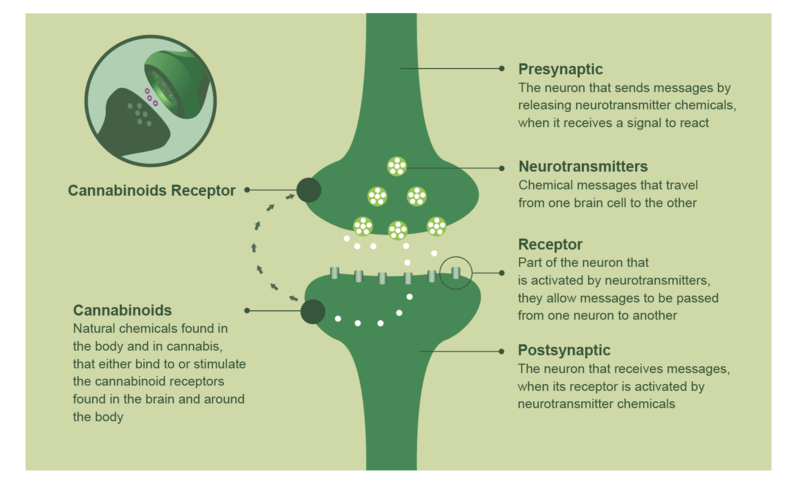 That’s because CBD releases neurotransmitters such as dopamine and serotonin that can lessen pain and discomfort while disrupting the activity of pain receptors in the body (scientifically known as the TRPV-1 receptor). In fact, studies sponsored by the National Institutes of Health is looking into how CBD can relieve symptoms caused by: Muscle pain Arthritis Spinal cord injuries MS pain CBD and skin conditions Another one of CBD hemp oil’s uses is that it may help the body with overall inflammation – and so help skin conditions such as acne. Researchers suggest that CBD oil prevents activity in sebaceous glands – a natural oily substance that hydrates the skin. However, too much sebum can lead to acne. More recently, researchers at the University of Colorado have stated that CBD could be a successful alternative, natural product for people to try in treating symptoms related to skin diseases, such as eczema and psoriasis. CBD and our brains A potentially surprising health benefit of CBD is that it may be able to protect our brains. This is due to its antioxidant effect. As many neurodegenerative diseases are caused by toxicity in our brains and the accumulation of a neurotransmitter called glutamate, CBD has been found to reduce toxicity levels and lessen neural inflammation (in studies on mice). CBD and diabetes One preclinical trial found that CBD lessens the incidence of diabetes from 86% to 30% in diabetic rodents. This is partly due to CBD’s anti-inflammatory properties, which is able to slow down the onset of diabetes. For more information around CBD effects on our body, don’t hesitate to read our resource here. If you’re still wondering what CBD is all about, why not head over to our CBD online shop and grab one of our incredible products? You can also send us a message via our chatbot or drops us an email – our support team will be happy to help you make an informed decision.